Ohio Senate Minority Leader Kenny Yuko (D-Richmond Heights) and state Senator Edna Brown (D-Toledo) announced today they will introduce a resolution in support of federal legislation to protect the pensions of 66,000 Ohioans and 1.5 million American workers and retirees. 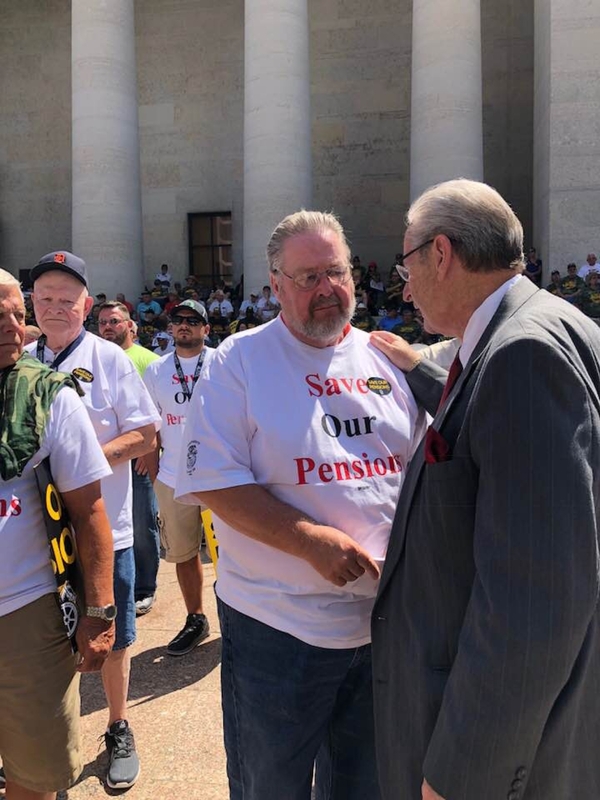 The resolution supports the efforts of thousands of retirees who are expected to rally at the Ohio Statehouse today before a joint congressional committee meeting on the topic Friday in Columbus. The committee, chaired by U.S. Senator Sherrod Brown (D-Ohio), will work to develop a policy solution to the pension crisis by November 30. Between 150 and 200 multi-employer pension funds are imperiled as a result of a federal reform bill passed in 2014. The resolution introduced by Senators Yuko and Brown supports the Butch Lewis Act which was sponsored by U.S. Senator Brown. This act would restore failing pension plans’ ability to meet their commitments to their retirees and workers without cutting benefits. The resolution is co-sponsored by state Senators Sean J. O’Brien (D-Bazetta), Joe Schiavoni (D-Boardman), Michael J. Skindell (D-Lakewood), Vernon Sykes (D-Akron), Charleta B. Tavares (D-Columbus), Cecil Thomas (D-Cincinnati) and Sandra Williams (D-Cleveland).